TV can be a good way to pass time. It is entertaining and even informative. But there is also the negative side to consider; the negative influence of Television. As with all outcomes of Science and Technology, TV too is like a double edged sword. It can make or mar our life. A knife can be used by a doctor to operate a patient and cure her. It can also be used by a robber to kill and steal. The positive influence and impact of television needs no elaboration for we are all witness to it and are literally an integral part of it. Television has become such an inseparable part of our lives that we barely make any attempt to even think about the downside of it. It takes great courage and understanding to press the ‘pause’ button of the rat like race that we humans are running, and ponder over the long term impact of these inventions on our life. This is where Avataars and great Spiritual Masters intervene and bring these insights into the focus of human intelligence. 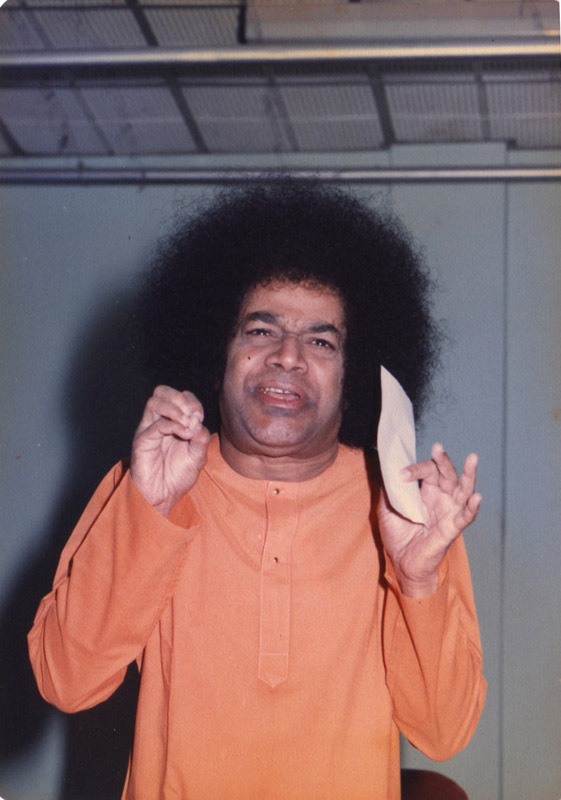 Bhagawan Baba has, on a number of occasions, highlighted the negative impact of television on our lives. He has cautioned us and even given us tips on the “do’s” and “don’ts” of watching television. It is imperative on our part to take note of these injunctions and modify our life styles suitably, for our own benefit and redemption.This posting is a compilation of the advice given by Bhagawan Baba on a number of occasions regarding watching television. There are 7 excerpts from Bhagawan’s Discourses presented in this posting. These have been selected from Discourses given by Bhagawan Baba in the years 1985, 1991, 1996, 1999, 2001 and 2002. 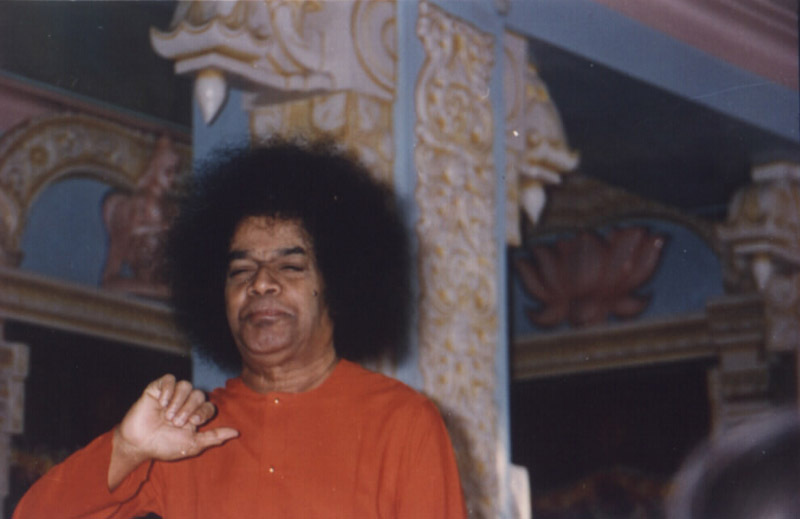 In Clip-1, Bhagawan explains the harmful effects of watching Television, especially watching while eating our food. He also explains the code of conduct to be observed while partaking our food. 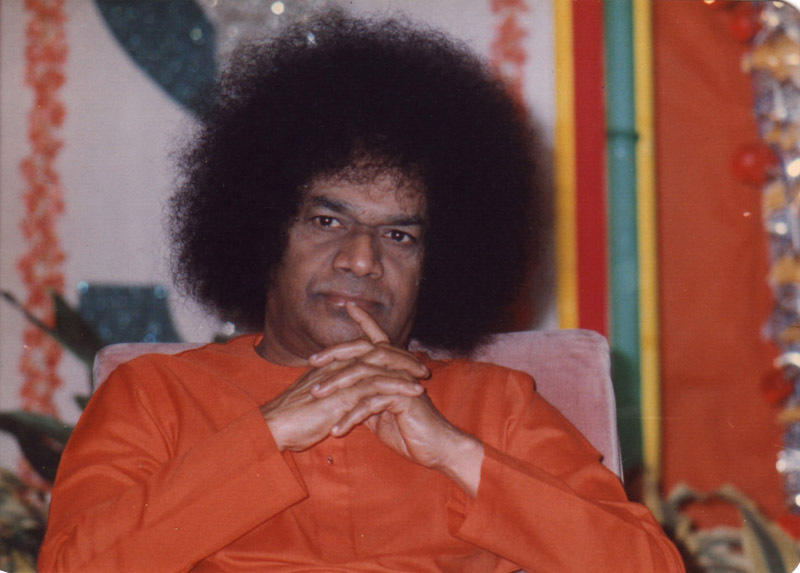 In Clip-2, Bhagawan questions as to what extent the television has helped to redeem mankind. Clip-3 is once again about the negative impact of television. 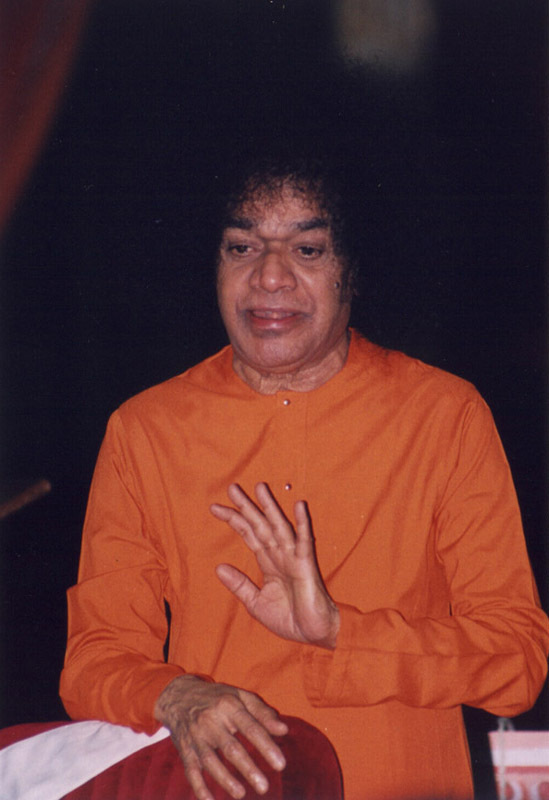 Bhagawan urges youth to spend their free time in other nobler ways. 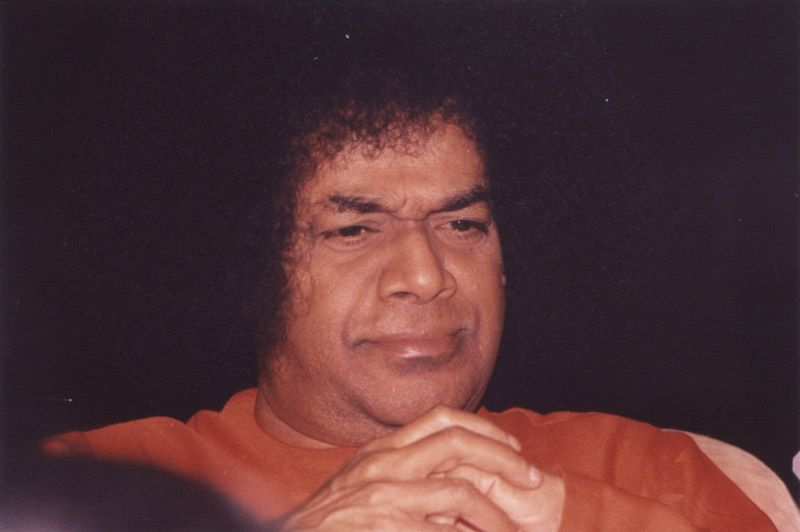 In Clip-4, Bhagawan explains how in earlier years, parents would spend time with their children in worshipping God and in explaining to them the lessons taught in the classes. In Clip-5, Bhagawan again urges people not to watch T.V. while eating their food. Clip-6 and Clip-7 is all about the care that needs to be taken by pregnant women to protect the foetus in their womb from external negative influences. Here Bhagawan quotes the stories of Abhimanyu and Prahalada from our epics. Finally, in Clip-8, Bhagawan talks about the scientific investigations of Anthony James DeCasper, a scientist who intensely studied the impact of external influences on foetal development and confirmed the truth expounded by Lord Krishna in the Mahabharatha (about the negative impact of Arjuna’s explanation of the Padmavyuha on the child Abhimanyu; and on the other hand, the positive impact of the words of Narada on the child Prahalada). Youth, men and women should understand this point clearly. Who is responsible for the bad feelings that arise in us? Who is responsible for the bad thoughts, the bad actions? Enquire well by going deep into the matter. The root cause for all these is the food. As is the food, so is the mind. The mind attracts the objects of the external world. If you wish to have a good example for this, you will find it as the very undercurrent in the daily experience of all men and women. There is a television set (T.V.) set in every house today. The rich people have a colour T.V. The more richer have Star T.V. (connection). T.V. sets are kept not just in the drawing room and the dining room, but in the bedroom too. From the time television made its appearance, the mind of man has been polluted. Enquire well; before the advent of T.V., people’s minds were not so much polluted. Never was the mind so full of bad feelings previously. Prior to the advent of T.V. such bad acts were never so common. One in a hundred or one in a crore would act in a perverted way. Today T.V. is installed in huts too. What is the impact of T.V. on our life? Even while eating their food, the T.V. is kept in front, in the Dining Hall. They watch T.V. even while partaking their food. The result is that, not just the food, but even all the foul things seen on the T.V. are being consumed by the viewer. Full concentration is only on the T.V. This concentration in viewing T.V. (Drushti) affects one's view of the world (Srushti). The scenes, thoughts and actions displayed on the T.V. give rise to similar thoughts and feelings and actions in the viewer. Unknowingly, agitations and ill feelings enter the minds. One starts wondering as to why such thoughts and feelings that were never there in her/him before, have started appearing now. All these thoughts and feelings arise because of the seed sown while watching television. In due course the seeds take root and sprout in the minds. Now, we have what is called “Star TV.” It is doing great harm to human life. The gem of human life is just sold away like coal. We think that watching this channel confers peace. No, no. It just gives us temporary peace and joy. Later, you do not know what type of damage it causes to you and in which direction it takes your life. It is like a knife coated with honey. As you lick the honey, the knife will cut your tongue. Not Bhaarath alone, but the whole world is suffering from the consequences of youth watching such scenes on the T.V. The world is racked by restlessness, agitation and disturbance. There is no enthusiasm anywhere. Today’s education is transforming the children into devils. There is no humility or obedience in this system of education. They learn the books by rote, go to the examination hall and write the paper, and return home with an empty head! Is this education? No. The education that you receive should be imprinted on your heart. It should never be forgotten even after many years. Today’s students do not have such sacred feelings. Everybody pretends to be a devotee. Why this acting? Because of the coming of cinemas (movies), this pretension is on the rise. Videos and T.V. are ruining the life of the students. The world respects all this, but Swami does not approve of it. To what extent have these inventions redeemed mankind? How have they helped man to live like a man? Every human being must first make an attempt to live like a human being. Students, you all know. Everything is a like picture. So long as you are here, you are very comfortable, safe and you live a peaceful life. But once you go home, you gather all the gadgets like Cinemas, T.V., Videos, etc. They pollute your heart. Human life is ruined by Videos and T.V. The advertisers put up their advertisements on the T.V. for their profits and not for your benefit. If the shows are educative, you can surely watch them. If they are noble and related to moral values, you can definitely see them; nothing wrong. But, today, the T.V. has inflicted the people with incurable diseases. It is no more T.V. ; it has become like T.B. (Tuberculosis). With such diseases, how can we ever have sacred thoughts in us? Take in some fresh air. If you have no work, go for a walk on the road outside. Do not simply sit there and watch the T.V. When you sit and watch the T.V., you find the smoke coming into the room from the kitchen. The sound in the kitchen disturbs your attention on the T.V. and so you go and express your anger with your mother. This leads to such misfortunes. Instead make your mother happy. Go and help her in the work she is doing. Help her. This is the main principle of Bhaaratheeya culture – Help Ever Hurt Never. The parents need to give good advice to their children. But today this does not happen. As soon as parents return from office, the mother switches on the T.V. The father comes and joins her in viewing. Father and son both sit and enjoy viewing the T.V. Is this what parents should be preaching to the children? Not at all. In earlier days, as soon as one would return home, the mother would take the children to the prayer room. They would explain in detail the lessons taught to them in the class. Because of the effect of the Kali age, we have all these gadgets like the T.V. and the Video. When the students go home, they have their food also in front of the Video. They watch the video while eating their food. As is the food, so is the Head. As you keep watching all the scenes, those thoughts enter your food. Therefore, as is the food, so is the Head and as is the Head, so is your God. You may watch good programmes on the T.V., nothing wrong. But, why should you not read sacred books that show you the path to Divinity? You get a headache when you are asked to read sacred books. But while reading mad and foolish novels, you do not even notice the passing of time. This is indeed the impact of the Kali age on the students. It is highly important for women also to study sacred books and nurture sacred scenes. When the women are pregnant, they watch 3 to 4 movies in a go. That is why they give birth to only “cinema children”! (Women must avoid seeing sensuous films and TV shows, especially during pregnancy. The child in the womb is likely to be influenced, by the kind of things they read or see). What is the reason? You must note one very significant example in our sacred Bhaaratheeya epics. When Subhadra (wife of the Pandava brother Arjuna) was pregnant, Arjuna started narrating to her the secrets of the Padmavyuha. But Subadhra was unaware that the foetus (future child Abhimanyu) in her womb was listening to all this. When Leelavati (wife of the demon Hiranyakasipu) was pregnant, Narada came there and started speaking sacred things about Brahma. The foetus (future child Prahalada) in her womb, listened to all this carefully. Thus, the child in the womb receives all these feelings. There is a unified bond between the mother and the child in the womb. Both receive food from the same source. Therefore, expecting mothers too should determine to nurture sacred thoughts, see sacred scenes and hear sacred things. What do we find today? Pregnant women are engaged in seeing Television, Cinemas and other deleterious media which portray heinous and vulgar scenes. The result is that the children who are born develop such undesirable tendencies in them. When Arjuna was narrating insights regarding the Padmavyuha to Subhadra, Krishna entered the scene, intervened and said, “Brother-in-law, do you think it is Subhadra alone listening to you? No. No. The foetus in the womb is also listening to all that you are saying”. Krishna revealed this truth to Arjuna. There were critical scientists in earlier years, who ridiculed Krishna and regarded what he said (about the impact of external influences on the foetus in the womb) as meaningless and baseless. But today, scientists in the West who ridiculed and sneered at these matters are now realising that what was said in the Mahabharata is true. The Research Institute of Child Health and Human Development, attached to the Carolina University in America, has been conducting experiments on the factors influencing development of children. An eminent professor (scientist) in this Institute, performed a number of investigations for several years, to verify whether what Krishna had said was true or not. This professor was Anthony Casper (Anthony James DeCasper). Anthony Casper after various experiments, came to the conclusion that what Sri Krishna had said was true, though our ill-equipped minds cannot fully understand the profound truth underlying Krishna's statement. Only the broad minded scientists with the power of discrimination can understand this truth. As part of the experiment, certain chemicals (apple juice and lemon juice) were injected into the womb of the pregnant mothers. After the babies were born, it was found that these babies had grater liking for these juices than their mother’s milk. 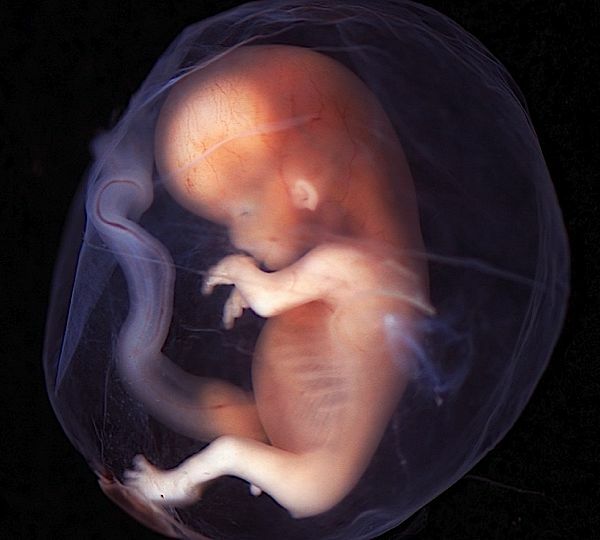 It was also demonstrated that these babies (as foetuses in the womb) had the wonderful capacity to respond to whatever the mother was saying or feeling. Whatever the mother was saying or feeling during pregnancy, the babies after birth, were shown to express the same feelings and make the same sounds. Anthony Casper announced his findings on 3rd January 1984 at a conference of scientists and published the same in papers. He confirmed that whatever Krishna had said was indeed true. Therefore all scientists are not narrow-minded. Some of them have investigated into the truth, and have dedicated their entire life to present the eternal truth to mankind. 01-Why does Bhagawan discourage one from watching T.V. while eating food? 02-How should one conduct oneself while eating food? Why? 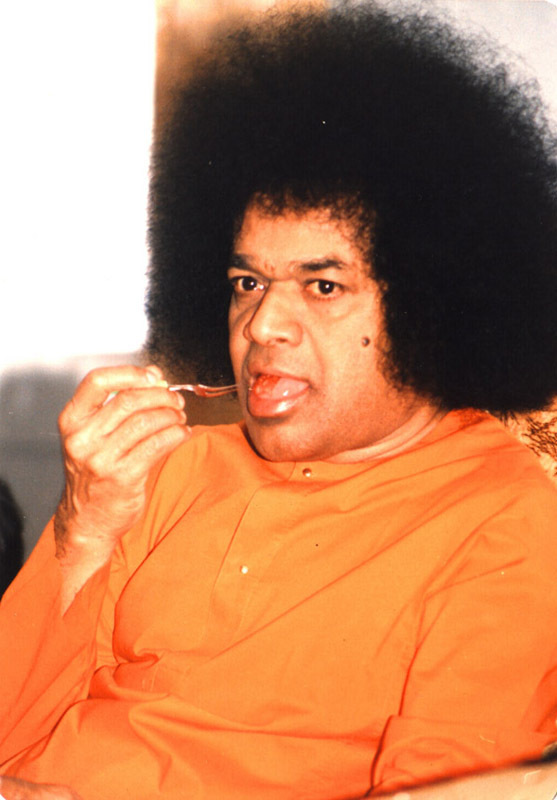 03-Why does Bhagawan compare the Television to a honey coated knife? 04-What type of programmes does Bhagawan approve of, for students and children to watch on television? 05-How would parents spend time with children after returning to their homes from office or school, in earlier years?? 06-Explain the relationship between Food, Head and God. 07-Why must pregnant women be cautious while watching the T.V.? 08-How does Bhagawan explain the impact of external influences on the foetus in the womb, using the anecdotes of Subadhra and Leelavati?